"We wanted to express our thanks to the Rezscapes crew for the terrific work they did preparing our property for the Real Estate open house. We received rave reviews from the Real Estate agents representing our sale, and the new buyers. It was the first thing they noticed when they arrived and they commented on the grounds when they made the offer. Thank you." "Rez is extremely knowledgeable about trees, plants and yard care. 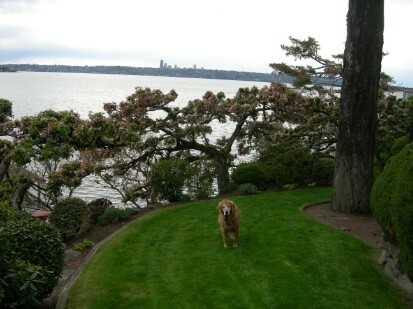 He is an expert pruner and our yard always looks amazing!" "The service provided by Rezscapes is far superior to other companies. Ken is professional, dependable and provides excellent advice on our landscape needs. His expertise and attention to detail are greatly relied on." "25 years of dependable service. Excellent Job." "Dependable, professional and hardworking; Rezscapes provides us with quality yard care." 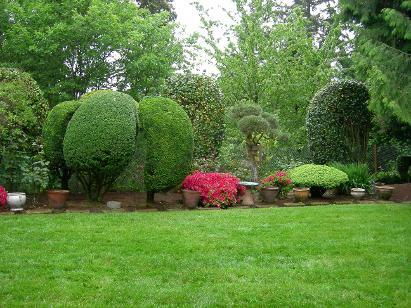 "Ken has proven himself a true artist by creating and maintaining our yards numerous ornamental trees and shrubs." "Thank you for looking after our yard. I'm sure it added to the quickness of the sale of our house. I have enjoyed our chats and your hard work over the years. Thank you!" "I'm always happy because Ken always gives just a little extra." "We would like to express our gratitude and satisfaction with the services provided by Rezscapes. Ken's knowledge of plants and his communication skills make it easy to discuss our yard. Ken has worked for us for 20 years and we appreciate his hard work and professionalism." "For over 20 years, Ken has kept our Bellevue home looking beautiful and well kept all year round, outstanding customized service." "Rez always knows what and when to prune. Honest, professional and dependable; I highly recommend Rezscapes." "22 years of personalized and dependable yard maintenance and my yard always looks great. Rez does wonderful work."